Oh yes. A weekend of R&R at home prompted me to continue a couple of little projects that don’t take too much energy. 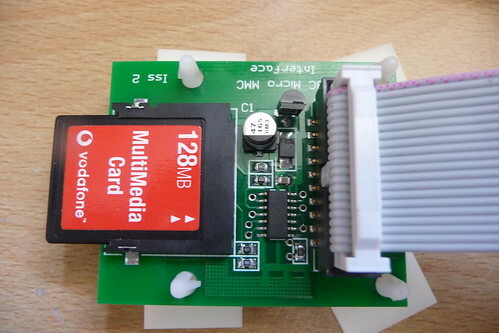 Namely, fitting an MMC interface to my BBC Micro, providing the little Beeb with a whopping 128MB of storage. All right, so it’s not quite that much, but it does give it access to 500+ virtual floppy discs which, if you don’t know, is plenty. Whilst I was in its innards, I took the liberty of adding a 3.5mm headphone socket to it, just because I could. Now, I’m pretty happy with these setups, however there is, of course, always more that could be done! More Power!! aka When the Master becomes a Master Turbo! This is something that the geek in me has wanted for a long time now. The exact origins of this desire are lost, even to me, in the mists of time. The only remaining hint to the initial pangs is the love I had as a kid for the game Elite. 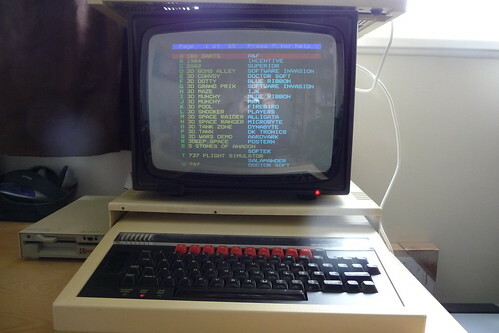 My BBC Master upgraded with an internal 6502 co-processor (or a 65C102 to be precise). 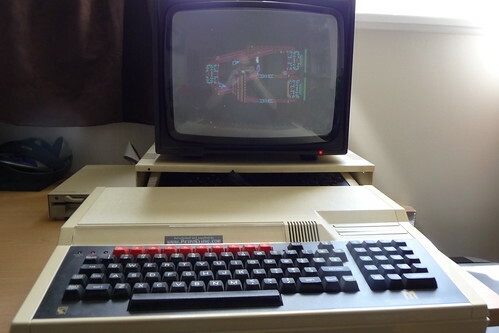 Well, the original core prcessor of the BBC Master was a 65SC12 processor running at 2Mhz. 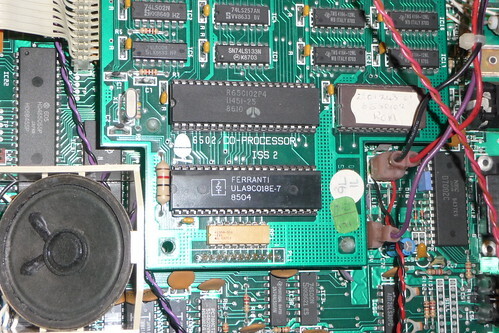 This co-processor runs at a blisteringly fast 4Mhz and comes with 64K of onboard RAM. With this beauty added, software can run on the new, faster processor, whilst the slower core processor becomes dedicated to handling the comptuer’s IO. Communication between the co-processor and the rest of the system is done over the interface called the ‘Tube’. 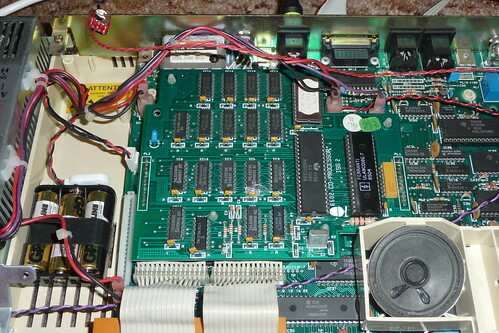 The daughterboard that the coprocessor sits on fits rather snuggly inside the BBC Master. One of the best examples of the added capabilites that this adds to the machine is Elite. The ‘Tube’ enhanced version of Elite has less disk access during the game and presents the player with a greater variety of ships and ship behaviour in-game. Whilst fitting this upgrade, it became necessary to replace my cheap and cheerfull DualOS upgrade I’d already made with a slightly more robust version that provided support for the co-processor. 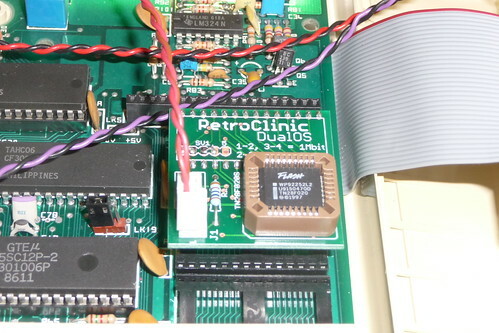 Again, I must say a big “Thank You!” to Mark from Retroclinic for being the source of these retro goodies. I’m still planning on the USB upgrade that i’ve mentioned before… maybe next month!